Recycling costs money.. For now. Recycling isn’t readily available to everyone.. Why not? “It costs money,” and people, managers, and decision makers “don’t want to pay for it.” At GreenThink, we want to change that. How can we change that? If only there were a way to provide recycling for Free? Wait a minute, maybe there is! In other states, and countries for that matter, recycling is part of everyday life. Sorting is part of that process. In order to make recycling free to people, and essentially part of their day-to-day practices, sorting needs to be done at the ground level, in homes, at work, on the streets, EVERYWHERE. Maybe, if we all do those tiny little extra steps in our disposal process we can turn out a method where recycling is free and efficient. At least 75% of our waste is recyclable in some form or another. We just need to change the perspective on the process. Check out this link from DoSomething.org for a few facts that will blow your mind. We at GreenThink want to change the way Utah(and beyond for that matter) recycles. How on earth are we going to get hundreds, thousands, or even millions of people to contribute to this effort of sorting in their home or place of business? In my experience talking with people, business’, and other decisions makers about this, the common answer is…. drum roll… You guessed it.. Convenience. People want things to be easy. I get it. Me too. I want to go to the gym once and come out with a six-pack. That unfortunately, is just not how change happens. It’s a process. It requires effort and consistency. But hopefully with GreenThink, that effort is minimized by what we can and will do to help you out. If you have an idea, thought, questions, or whatever. Please let us know. We are into the kickbacks. Sorting creates valuable commodity byproducts. We can possibly make recycling free by creating value out of the sorting efforts of people. Single stream recycling is “the norm.” But guess what? 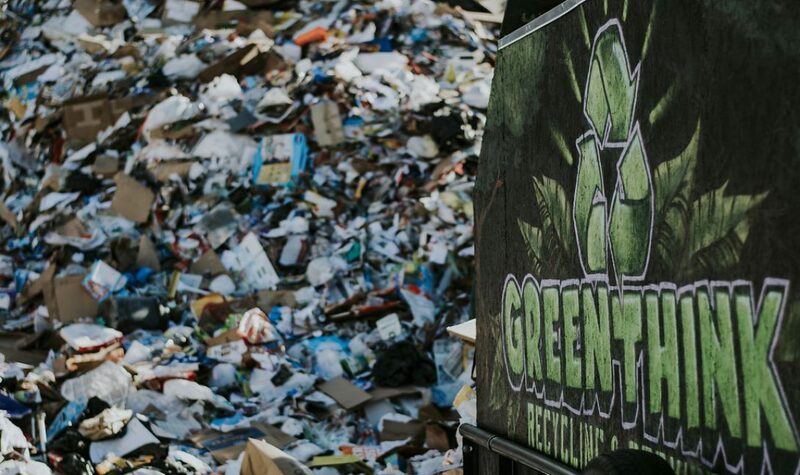 Because of the different MRF’s(Material Recovery Facility) sorting systems and process’ from city to city, and state to state there is a lot of confusion about what IS and IS NOT recyclable. What goes in what bin. Thus, causing certain, once recyclable materials, to be contaminated and turned into non-recyclables or waste.. Going to a landfill.. Probably never to be seen again. Sure single stream recycling is a decent method of waste diversion.. for now. I personally believe that we can do better. We are a small business compared to the giants, but I believe that as we grow, we will be able to implement change in the current practices of recycling by giving people everything they need to recycle properly and effectively. We are looking for HOA’s, apartments, business’ that are interested implementing some positive change at their spot when it comes to waste diversion and recycling. We will work together with tenants and staff to reduce the waste-to-landfill by simply sorting at the “throw away phase.” Let work together and make this happen. Education. Accountability. Execution. That’s the plan. Now let’s get it!